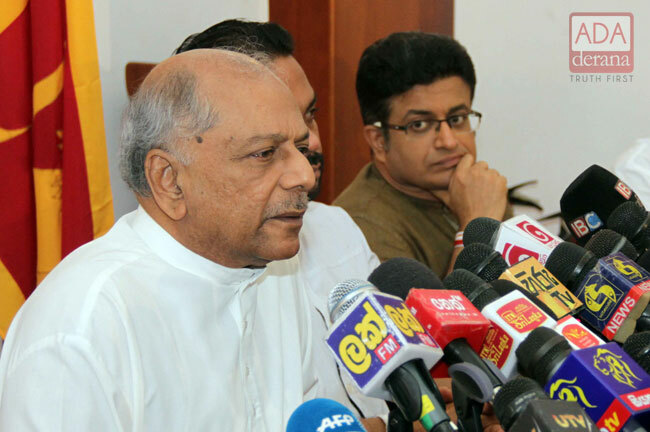 Minister Dinesh Gunawardena says that the former Prime Minister and the Speaker of Parliament should take responsibility for sabotaging the actions taken by the President, who he says acted according to the Constitution of the country. Speaking at a press conference at the Prime Minister’s Office today to explain the reasons behind the dissolution of Parliament, he also blamed them for causing anarchy in the country as well as in the Parliament. He stated that the President has called for fresh elections due to the unstable situation created in the country due to the statements made by the former Pm and the Speaker. Minister Udaya Gammanpila, who also addressed the media, said that if the decision taken by the President is wrong or if any of their actions so far are wrong, the people will punish them at the polls. However, he said that at the same time if the manner in which the United National Party (UNP) has governed the country in the past 4 years is wrong, the people will punish the UNP accordingly.